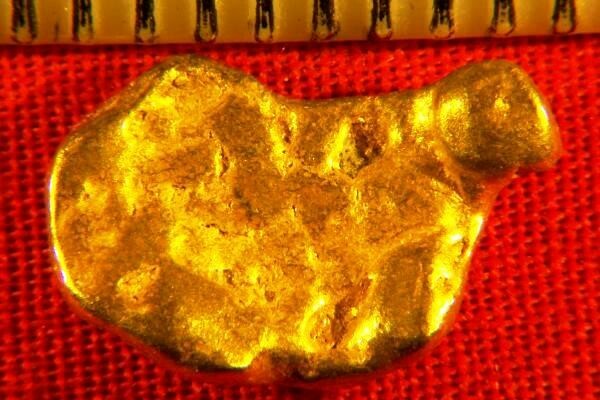 This beautiful Gold Nugget from California weighs 37.8 Grains (2.45 Grams). From the rich gold fields of California, it is just over 1/2" (14 mm) long. This California Gold Nugget is richly textured and has lots of character. 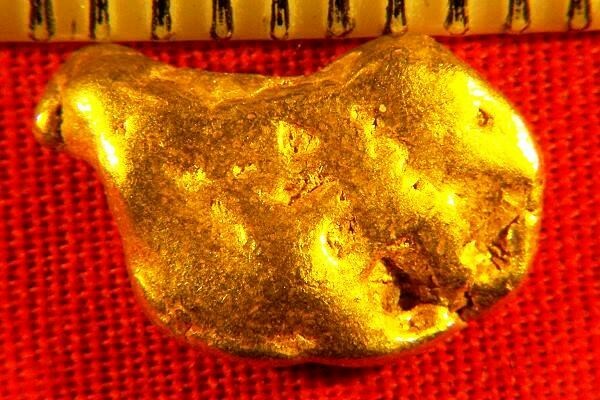 It is very hard to find high quality California gold nuggets for sale since the gov't banned dredging in 2009, so get some of these beauties while you have the chance. I have a very limited supply left.